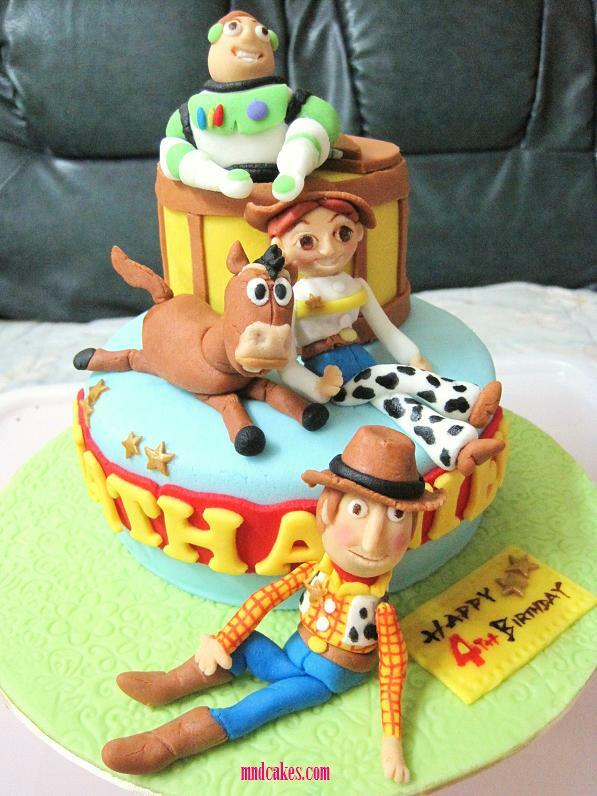 This Toy Story fondant cake was done quite a while ago for a 4 years old boy's birthday but I missed to blog about it. How could I be so forgetful? This is Woody, the main character, a cowboy pull-string doll. 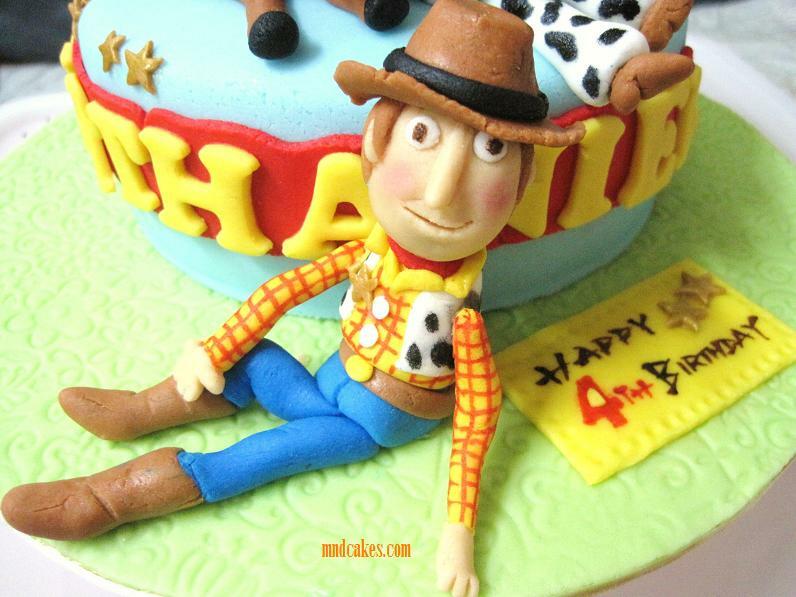 I love his clothes. 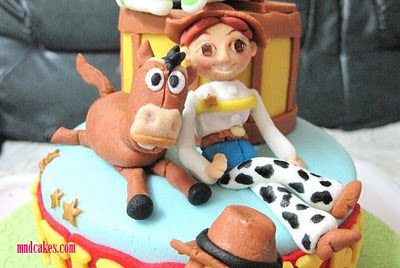 They are Jessie and the horse Bullseye. Both of them are Woody's good friends. How does Bullseye look? A bit dumb, right? I love Jessie's smile and her big eyes.